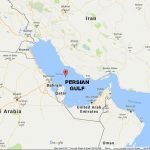 Home / Top Stories / Saudi columnist: Iran is the real enemy, not Israel! In his June 6, 2017 column in the Saudi daily Al-Riyadh, Musaid Al-Asimi called for no longer viewing Israel as a hostile country and instead for focusing on the real enemy – Iran. He writes that while there’s no need for demonstrations of friendship toward Israel – a country that occupies Arab land, at the same time there’s no need for unjustified demonization of Israel, especially at a time when the Palestinians themselves and Arab countries have already signed peace treaties with Israel. A careful examination of the question of “Who is the enemy?” will, he says, lead to the clear conclusion that it is Iran, and not Israel, that poses a threat and endangers Saudi Arabia, and that everything possible must be done to defeat it. 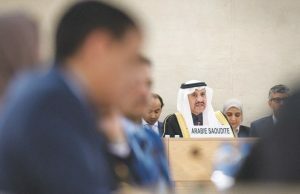 In an apparent reference to Qatar but without explicitly naming it, he also calls for action against Arab Gulf elements that are often duplicitous and support Iran. “I have written on more than one occasion about the essence of the enemy of whom we must beware, and I have written about the confusion that several of the Arabs would have us believe in and would have us keep at the forefront of our minds, and about the methods of intimidation that result from this confusion. 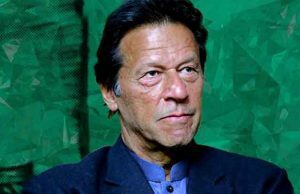 There are those who use these methods to involve you in their problems, with the aim of having you provide them with ongoing material and political support. “With respect to the Israeli hostility, no reasonable person has any doubt that Israel is a gang that steals Arab land, and that it has done so with international support, beginning with the Balfour Declaration and continuing with the U.S. support provided to it to this day. However, the description of this hostility is exaggerated, to the extent that there are those who claimed that the aspirations of the Jews extend to the south of the Arabian Peninsula. At the time, this triggered great hysteria, to the point where donations to Palestine exceeded the budgets of some large countries. “On no account will I venture into the political maze, but we believe that the Palestinians have already signed peace treaties and agreements and have settled for the little that these grant them. [The Palestinian issue] is their issue, and they are the experts [more than anyone else] and it is they who bear the responsibility. Here I am entitled to ask: Am I to continue in a state of alert, anxiety, and tension with regard to Israel, once it and the original landlords have agreed to peace, and are still involved in a process of negotiation [to achieve it]?! “This is not a call to demonstrate friendship toward Israel – on the contrary, there is tension in [our] attitude toward the country because it occupies Arab land – but as a Saudi citizen what can I do about Israel, when the Palestinians in authority have declared peace with it and others among the Palestinians who continue the vocal struggle against Israel have returned to Gaza to live, knowing [full well] that Israel surrounds it on all sides? Furthermore, several Arab countries that share a border with Israel have signed permanent peace agreements with it, such as Egypt and Jordan, and when it comes to the other countries, Israel does as it pleases. “Following this long introduction, am I not entitled to ask: Who, then, is the enemy? Who is it that I should watch out for and beware of? 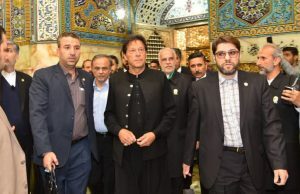 Logic says that whoever threatens you and manipulates others to hurt you, is your enemy; whoever contradicts your orientation, seeks every way to block you, and harms you, is your enemy; whoever helps those who were duped by weapons and money so that you end up being abused, is your enemy; whoever invents conflict at the time of the Haj [pilgrimage to Mecca], foments fear and problems, and makes trouble so as to make you appear incapable of managing this religious ceremony [is your enemy]; and whoever instigates panic and cultivates ethnic divisions in your country and in neighboring countries whose issues are important to you, is your enemy. Is it possible that after all of this it is still difficult for us to define who this enemy is, who embodies within himself all the manifestations of these terrible things? “Not at all. The issue is crystal clear and the enemy is out in the open. Even more so [the enemy] speaks of this openly and points [to himself] as if to emphasize that you are referring to him. Is there a greater enemy to us and to our countries than Iran [?] and does Israel threaten, influence, or worry [us], or disseminate resentment and hatred like Iran does? Therefore, let us focus on our true enemy and not transform another [element] into a demon who will worry our coming generations when this is not the case. We must do all that we can to defeat this enemy [i.e. 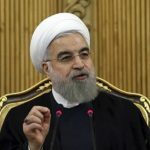 Iran] and the most important thing is that we don’t stand idly by in light of those who are duplicitous [i.e. Qatar], for the friend of my enemy is [also] my enemy, even if he is an Arab from the Gulf. 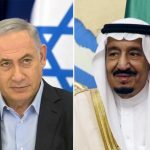 Are Israel and Saudi Arabia getting closer? They still refuse to have any consideration to the ancestral association of the Jews to the land of Israel, way before the Arab conquest.What a pity!